Anke Domscheit-Berg, 49, is an entrepreneur, activist and publicist, focussed on topics around open government, digital society, and gender equality. She serves as Senior Policy Advisor for the Commission Ending Violence against Women and Girls of the World Future Council. She published in varios media in Germany and beyond, such as Die ZEIT, FAZ, taz, Der Freitag, SZ, Handelsblatt, ManagerMagazin or The Guardian and wrote two books “Mauern einreißen!“ (Tearing Down Walls, 2014), and “Ein bisschen gleich ist nicht genug! Warum wir von Geschlechtergerechtigkeit noch weit entfernt sind.“ (A little bit equal is not enough – Why we are still far away from gender equality, 2015). In 2016, Anke Domscheit-Berg co-founded ViaEuropa Deutschland GmbH, a company providing an open access broadband (glass fibre) platform. In 2011, she founded fempower.me, to help women managers and their organisations break down barriers for women in leadership positions. Prior to this, she had been working for 15 years as IT consultant and project lead at Accenture, McKinsey’s Business Technology Office and as a Director at Microsoft Germany. At McKinsey, she also lead the study “A wake up call for female leadership in Europe”. 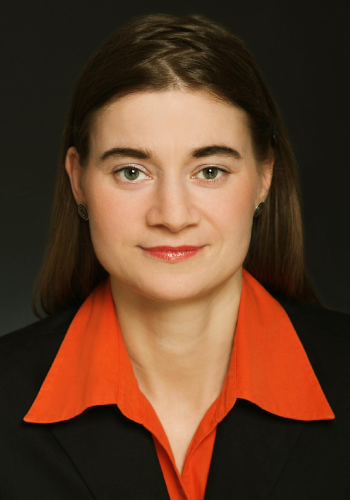 Anke Domscheit-Berg is a member of the international RWE Stakeholder Council, of a Welthungerhilfe Think Tank, and of the Family Commission of the Boell Foundation in Germany. She is a proud ambassador for the Barefoot College in India, which trains illiteral rural women to become solar engineers. She is co-founder of the NGO Demokratie Plus. Together with her husband, transparency activist Daniel Domscheit-Berg, she engages in educating the youth on digital competence and maintains an innovation lab. Anke Domscheit-Berg holds a Master in European Business Administration (Newcastle, UK) and a BA in International Business Administration as well as a degree in Applied Textile Art. She was awarded Woman of the Year 2010 by the State of Berlin. With her husband and a son she lives north of Berlin, in Germany.